This book can give you a training schedule for an entire season (rather than from week to week)! The Complete Soccer Coaching Guide – 76 Training Sessions that Develop the Advanced Player contains a comprehensive range of soccer drills and exercises you can use to coach youth and college teams in a progressive manner. This will enable you to increase the challenge and complexity of each training session, and gained improved team performance as a result! Whatever level you’re coaching at, it can be difficult to gauge how to progress soccer drills and exercises in a way that helps your players to improve. As you know, the only way players can improve is through progressively increasing the complexity and difficulty of soccer drills. But how do you know which ones to switch to over the course of a season? The Complete Soccer Coaching Guide – 76 Training Sessions that Develop the Advanced Player shows you how with a progressive series of soccer drills taught by one of the country’s sharpest college coaches. Featuring every training session of Rochester University, during the fall season of 2010, this book provides you with a calendar of progressive soccer drills you can use to challenge your players and help them to reach the next level. There are plenty of books packed with soccer drills, but very few give you the structured and progressive approach to training you will gain from The Complete Soccer Coaching Guide – 76 Training Sessions that Develop the Advanced Player. What a wonderful companion The Complete Soccer Coaching Guide is for any coach to have alongside him as he prepares and moves through his season. Chris Apple takes you right into the heart of college soccer and gives you a day by day guide through his Season. It is very easy to see why he is successful every year as every practice has meaning. In the short college season there is no time to waste and he explains on both a daily, monthly and seasonal basis how he puts everything together. All the key topics are addressed. Technical work, Finishing, Defending, Pattern Play, Shaping, Fitness and even Regeneration are all discussed. It truly is a bible for the young coach, and the not so young coach. I have been involved in professional and college soccer since 1962 and I just loved reading Chris Apple’s book. I thought that I pretty much knew it all after my time in the game but I got plenty to think about as I leafed through the pages and felt I got right inside the mind of one of the country’s sharpest soccer minds. Players can get bored if they have to work through the same drills, week in week out. Working through repetitive drills also doesn’t give them the opportunity to push themselves or improve. This is what makes The Complete Soccer Coaching Guide – 76 Training Sessions that Develop the Advanced Player different. Everything is covered, including technical work, finishing, defending, pattern play, shaping, fitness and regeneration. The beauty of this book is that, rather than simply work through drill after drill, it shows you how to arrange soccer training exercises in a methodical way that is challenging for players and keeps them motivated. Organized into a four month cycle, the drills begin with a focus on technical skills and defensive organization and finish with functional training and pattern play. The sessions are that could be easily used as a team curriculum for an entire season so you know exactly which drills to use and when, so you can provide more challenging soccer drills that can push your players to the next level. The book covers every soccer drill and exercise over four months of the 2010 fall season. However, these drills can be easily rotated and reused to create a progressive coaching calendar for the entire season. The Complete Soccer Coaching Guide – 76 Training Sessions that Develop the Advanced Player enables you to get inside the mind of one of the sharpest coaches in college soccer. 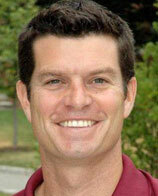 The eBook’s author, Chris Apple, has over two decades experience of playing and coaching to draw from.As a player, Apple was a three time UAA Championship winner with Rochester University, and was named an All-American by the NSCAA in 1989 and 1991 and a USS Player of the Year in 1990. Apple also played professionally with Spvgg Weiden in Weiden, Germany (1992-1993) and at Raleigh Flayer, N.C. in 1994. After hanging up his boots, Apple moved into coaching with the Fighting Irish college team at Notre Dame University, where he worked for four years as an assistant and then one season as the interim head coach. Apple then made the move back to the place where his soccer career started at Rochester University. After taking the helm in 2001, Apple took the Yellowjackets to four consecutive championship titles in the ECAC and six NCAA appearances. In the 2005 their only loss was in the second round of the NCAA playoffs, ending the season with an impressive 16-1-1 record. Apple and his assistant coaches were also named UAA Coaching Staff of the Year three times (2001, 2005 and 2007), whilst Apple was named the Northeastern Region Coach of the Year by the National Soccer Coaches Association of America three times (2003, 2005 and 2007). 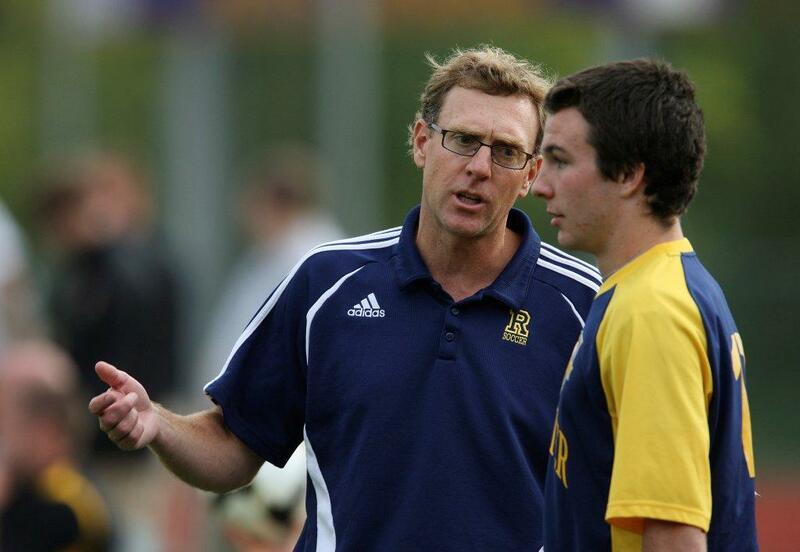 Apple continues to be the University of Rochester Men’s Soccer Coaching Staff and Head Coach. Apple holds an “A” License from the USSF and an Advanced National Diploma from the NSCAA. Apple is also active in the youth soccer community as the Director of Coaching for Empire United Soccer Academy and as Director of the club’s U.S. Development Academy teams. 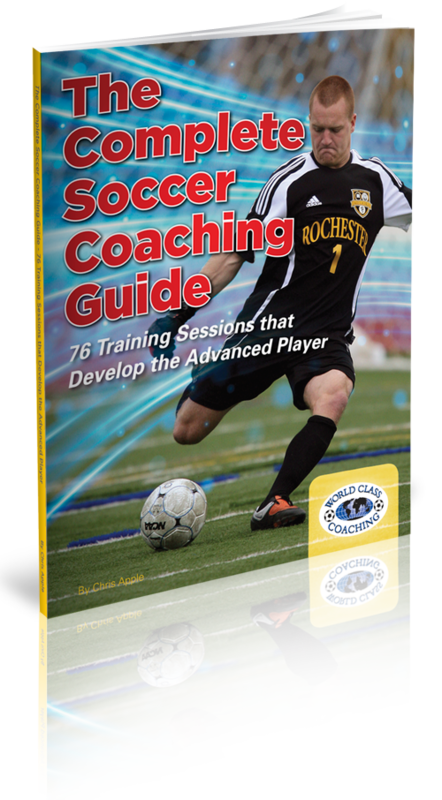 The Complete Soccer Coaching Guide – 76 Training Sessions that Develop the Advanced Player is a comprehensive soccer coaching program that includes every soccer training drill used by the Rochester University for four months in the fall of their 2010 season. A calendar at the start of each month outlines the soccer drills used, as well as provides a time table for when to train and when to regenerate. This ensures your players will be both physically and mentally fit throughout the season, and won’t be burnt out by too much training or bored with repetitive exercises that focus on one isolated skill. Every soccer drill is explained with detailed diagrams so you can quickly drop them into training sessions at a moment’s notice and if, for example, you want to focus on a particular area. The 76 different drills cover a wide variety of skills and include square Dutch passing drills, fitness runs, small numbers defending, directional play, 8v8 situational pressing, innovative Across the River situational pressing and much more. There are plenty of books to choose from which pack in long lists of soccer drills and training exercises. But they often don’t show you how to structure the drills so they become progressively more challenging and complex for players. And as you know, the only way players can improve is if they are pushed to perform at a higher level in every training session. 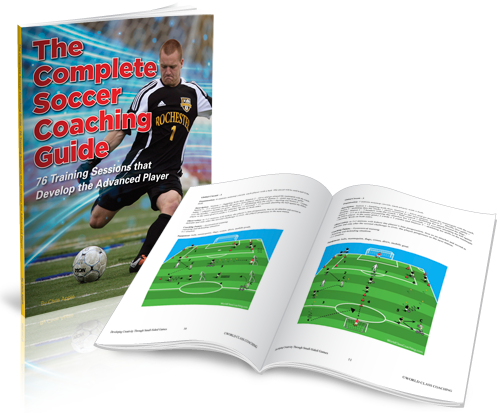 “The Complete Soccer Coaching Guide -is a great resource for any coach. The book covers a wide range of topics from technique to attacking play to defensive organization and every topic is accompanied by well-diagramed exercises and pertinent coaching points. As a high school and club coach, I found the monthly training calendar extremely helpful in formulating a plan for my own seasons. 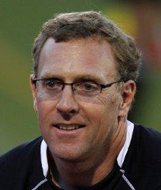 Overall a terrific addition to my coaching library and I highly recommend it!” Bill Brady, Boys Soccer Coach, The Haverford School. WORLD CLASS COACHING is recognized globally for the quality of its soccer coaching resources, which are used by over 40,000 soccer coaches from around the world. The Complete Soccer Coaching Guide – 76 Training Sessions that Develop the Advanced Player unless it achieves our exceptionally high standards. However, if you are not 100% satisfied with the quality of The Complete Soccer Coaching Guide – 76 Training Sessions that Develop the Advanced Player after six months of implementing its small sided games and exercises then please contact us for a no quibbles refund. The Complete Soccer Coaching Guide – 76 Training Sessions that Develop the Advanced Player covers every soccer drill and training session over a four month period used by Rochester University. With its structured approach to coaching and calendar, this book is perfect for any young coach that needs to know how to used drills in a progressive manner so they challenge players and help them to improve. However, the coaching drills are equally beneficial for coaches at any level, from youth teams and recreational right through to clubs competing in professional leagues. Everything is covered, from technique through to pattern play, fitness and finishing. So this eBook can be a valuable guide with soccer drills you can drop into every session on the fly, and to provide players with the variety and challenge they crave. P.S. The Complete Soccer Coaching Guide – 76 Training Sessions that Develop the Advanced Player provides a comprehensive program utilizing every soccer drill used by Rochester University in the fall of 2010 – a season in which they made a run to the NCSS Elite 8 and an NSCAA ranking of 6th in the country. With a calendar outlining when and which drills to use, this book provides you with a progressive program that will improve your team’s performance by making every session more challenging for players. 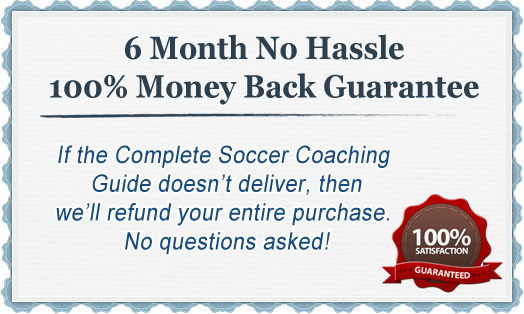 P.P.S If you are not 100% satisfied with the quality of the soccer coaching resources in The Complete Soccer Coaching Guide – 76 Training Sessions that Develop the Advanced Player after six months then we will refund your purchase in full, no questions asked.